Xander Duell is an electronic artist and this is his new single Earth On Its Axis. Way back in 2011 Xander released his debut album on Mexican Summer, and three years later he has paired up with producers Andrew Wyatt (Miike Snow) and Damon McMahon (Amen Dunes) to create follow-up Wade Laiste. 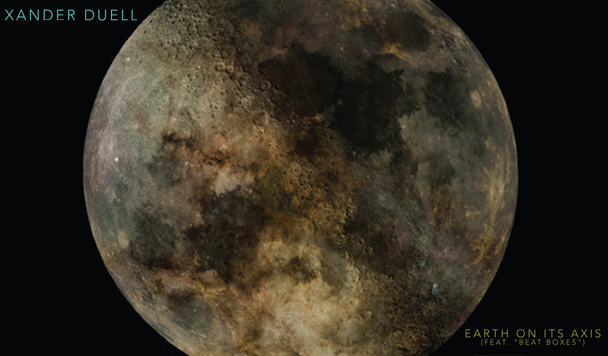 Featuring a rhythm section of David Bowie’s drummer Sterling Campell and Maxwell’s bassist Hod David comes the very smooth sound of Earth On Its Axis. The drums and bass lay down a jazz-ish foundation that allow reverb-heavy guitar chords to ring out and add to the mysterious atmosphere of the song. Xander’s creeping vocals throw down confessions of stabbing a girl in the car park of a TGI Fridays in a drunken haze, but it goes down very alright, so it’s cool. This track also features a killer horn solo which as always sits very well with me, and it really just helps everything come together nicely to produce what has been a very interesting, entertaining listen. Xander Duell possibly alienated a few listeners on his debut by being a little too “out there” but Earth On Its Axis promises that his three year break has allowed him to grab some sense out of his creativity this time around. Earth On Its Axis is a great little tune and it will be intriguing to hear more from this project in the near future. Check out the video below, and for more music reviews, free downloads and I wonder if that girl ever got free TGI’s check out Exploding Head Syndrome on Facebook and Twitter.